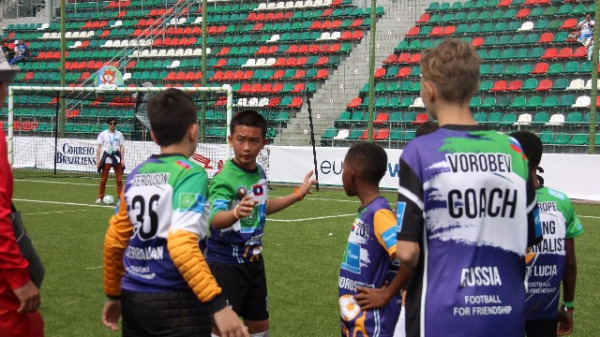 Speaking about his participation in the International Championship Thavisinh Phichit said, "I am happy to have been given the opportunity to participate in the Football for Friendship programme in Moscow. The programme has helped me to make a lot of friends from different countries and play football with them. The Championship was very exciting and I am happy to have performed well for my team. This has been an amazing experience and I look forward to participate in more tournaments in the future". The Friendship Camp also saw the activation of The International Children's press center, participated by the young journalists who reported on the activities of the day. The journalists were also a part of master classes conducted by leading media channels, which taught the young journalists how to report.